Whether you are trying to add a pop of color to a room or dampen the sounds associated with other flooring types, area rugs are an excellent option for any room! We at Floored pride ourselves on not only our selection of in-stock area rugs, but also our variety of customizable options! In addition to our ability to order manufactured area rugs, we also have the ability to bind area rugs in-house! This is the mantra that has lead Chandra to become one of the leaders in high-quality area rugs. 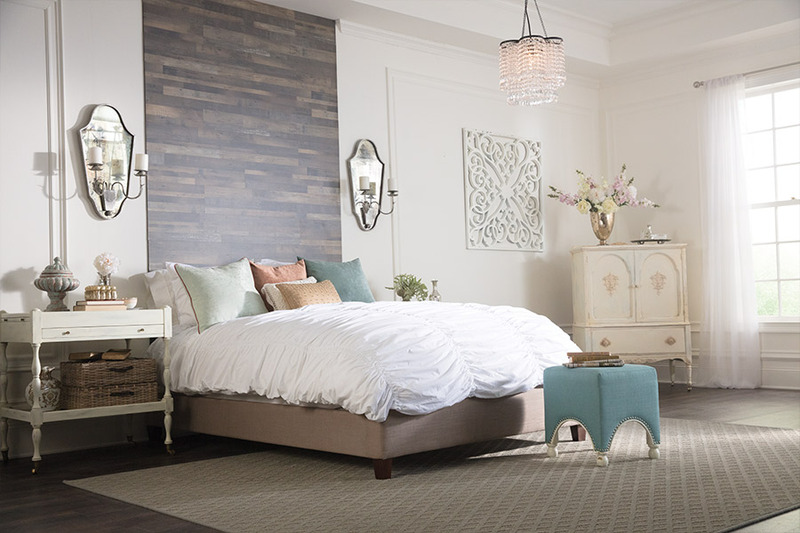 Chandra is a family owned and operated business that offers beautiful handcrafted area rugs with traditional and modern designs to fit any décor. From the collection of the wool to the final quality check, each step in the area rug production is completed by skilled artisans to ensure that each rug is unique and will last a lifetime! Nourison is truly a unique family-owned company that is based out of New York. Nourison offers an extensive collection of beautiful heirloom-quality area rugs with both traditional and contemporary styles. 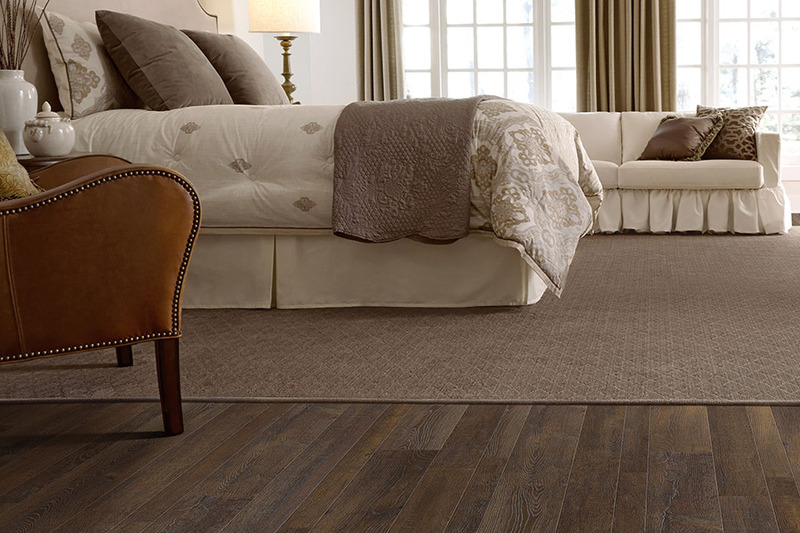 They also carry numerous durable, high quality broadloom carpets that can be used to create custom area rugs. The primary fiber used in many of their area rugs and carpets is New Zealand wool, which is one of the most resilient fibers due to its ability to hold its shape, color, and resist stains. This means that the carpet you select will last for decades to come! Stanton is by far one of our most customizable product lines! They offer broadloom carpets that can be used to give any room in your house a unique look, as well as beautiful custom area rugs and stair runners. 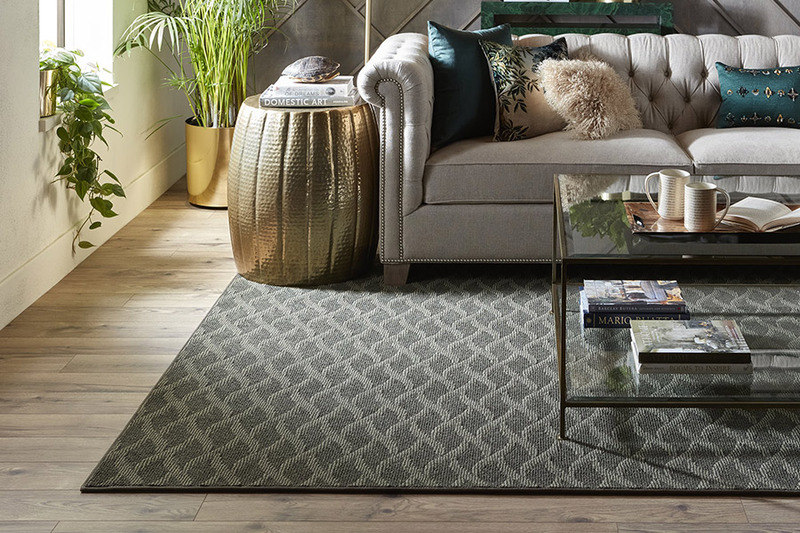 In addition to their normal plush, shag, and berber carpets, Stanton also has a line of high quality, durable indoor/outdoor carpets that can be fabricated into custom area rugs!